Enjoy the glorious Florida sunrise vista from the peaceful lakefront screened lanai of your new Valencia home! Magnificent, Elegant & Spacious, this 3BR/2 bath waterfront home features High Ceilings & Crown Moldings in living areas, generous high-hat lighting, designer window treatments, fitted closets throughout & just awaits your personal touches. Centrally located in the heart of everything, Valencia Isles is Convenient to Beach, Fabulous Shopping and Dining & Worship too! 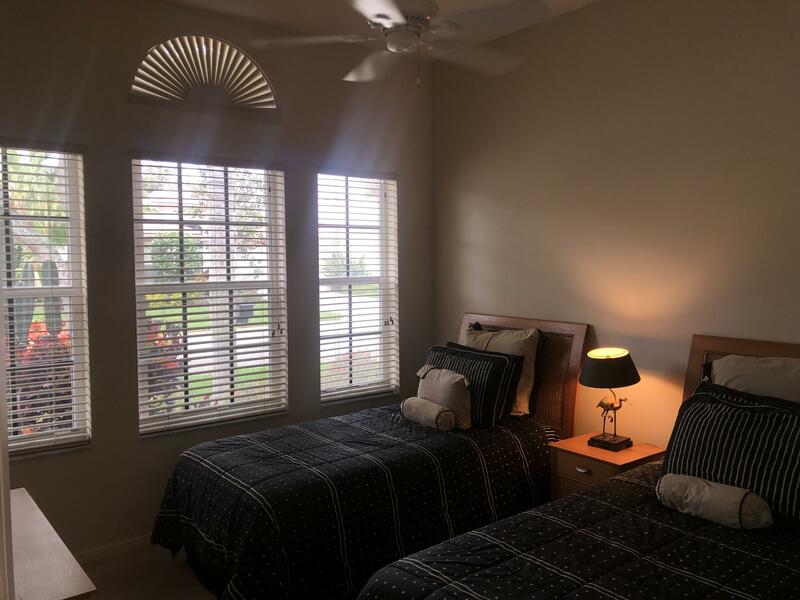 Enjoy this Upscale 24 Hour Guard Gated Community with Phenomenal NEW Clubhouse & NEW Fitness Center (May 2019!) offering a poolside cafe open for breakfast and lunch. Resort Pool, Pickleball, Active Tennis & Fitness Centers.Clubs & Activities Galore and Theater with Marquis entertainment. A True Gem!